The best known source of calcium known to the humankind is milk. So, all dairy products like cheese, cottage cheese, fresh cream, yogurt etc contain a very healthy dose of this essential mineral which is also the most abundant in the human body. This is one of the reasons why milk and milk products form an essential component of the diet of billions of people across the globe. However, there is little to benefit for those who are lactose intolerant. This also holds sense for the ones who may be maintaining a distance from all dairy products for the sake of losing weight. Soymilk – Soy milk is a great source of calcium with 300mg in every cup you take. This covers 1/3rd of your daily calcium needs. At the same time, you earn bonus health advantages like weight loss, prevention of premenopausal syndromes and an improved lipid profile. 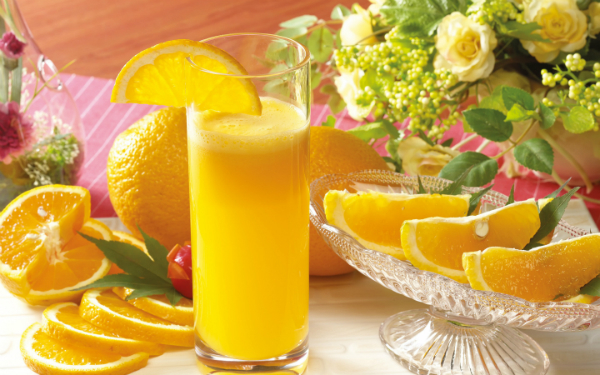 Orange Juice – 1 cup of orange juice contains 500mgs of calcium which is half of your daily requirements. At the same time, you earn the additional bonus of a rich dose of Vitamin C to boost your overall health. Tofu – This Miracle food can give you as much as 850 mg of calcium in as little as ½ a cup. This is just 150 mg lesser than your daily requirement of this essential mineral. With a healthy dosage of calcium, you can get protein rich complete meal which is very low in fat and calories making it perfect for a healthy weight loss regime. Sardines – Besides a healthy dose of omega 3 and vitamin D, a biggish size of sardines can supply around 300 mg of calcium. Team it with a cup of fresh orange juice and tofu, and you will be in for a low calorie nutrition packed meal with all your calcium needs sufficed. Kale – 2 cups of chopped kale is just as much about the antioxidant content as it is about 180 mg of calcium which makes for about 1/5th of your daily needs. You can team it with other appropriate natural foods to get your complete dosage. Almonds – ½ cup of roasted almonds can give you about 140 mgs of calcium besides a number of other advantages that are practically blessing for the body and mind. However, you will have to team it with other foods to complete the daily requirement. Dried Figs – 1 cup of dried figs contains 241 mg of calcium. So if you keep munching on these fruits as snacks you will gain on health while not compromising on taste. Supplements – Last but not the least, if you feel you calcium intake is lacking all thanks to a shifty all-neglected diet, you can always fall back on good quality supplements. However, you need to find a dependable brand preferably recommended by a nutritionist.